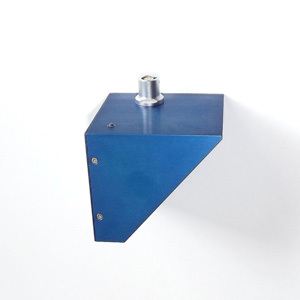 The newly designed PEGASEM Radar Sensors allow carefree non-contact speed sensing over ground at a very competitive price. 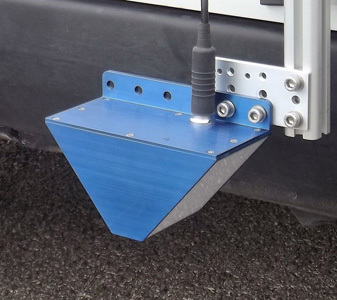 The road surface is scanned with a 24 GHz radar beam. The internal processor creates a high precision TTL- output signal with 100 pulses per metre from the raw Doppler signals. For high precision measurements, the GSS25C has automatic internal vehicle pitch compensation using a dual beam design while the GSS15C/GSS25C, with its single beam approach, is targeted for applications where vehicle pitching during acceleration and braking does not occur e.g. tramways, trains etc. High gain microwave antennas create a Doppler signal with excellent noise margin allowing measurements even in the ultra low speed range. The clean, high quality speed output signal outperforms many competitive non-contact vehicle speed sensors. Both models come in weatherproof housings with five meters of cable and a mounting solution for easy and quick fitting to the vehicle’s body.